Sanela is one of the original founders of Hope VMS Elaine's Dogs alongside sister Maya. 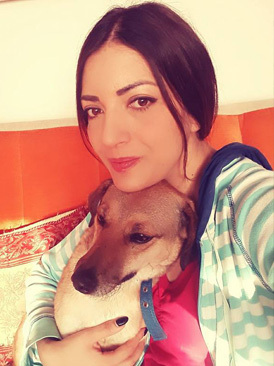 Sanela is a real inspiration with her work with the dogs, she decided a long time a go she could no longer turn a blind eye to the suffering of the animals in Bosnia and set out to make a change to their lives. Sanela is a fighting force for the dogs and chief beautician for them as she uses her skills as a trained hairdresser to give the dogs makeovers and get them presentable for adoption.